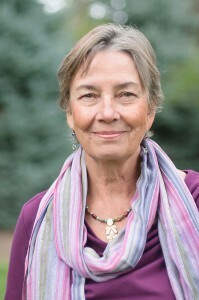 Kathleen has been professionally trained by the world's leading Enneagram scholars, Don Riso and Russ Hudson of the Enneagram Institute in New York. Also a graduate (1997) of Coach U's CTP Coach Training Program, she clearly understands the difference between coaching for “success” and guiding someone to greater personal awareness and growth. After more than 15 years of study, Kathleen says her learning continues. See below for her story. As I look back over the years from the vantage point of my 60's, I have to say, "I love this perspective!" I feel like I've finally come to inhabit my body on this earth, after so many years of feeling invisible. This feeling, I’ve learned, was coming from my own sense of inferiority, separation, disconnection…the list goes on. One thing I’ve come to know is that these feelings are universal but have their own flavor depending on your Enneagram type. I first learned of the Enneagram in 1996 and was immediately struck (as in a “bolt of lightening”) by its accuracy in identifying my own traits and those of the diverse people in my life. I am now aware, through my Enneagram “work,” that the specifics of my life had blended together into an overall memory of “contentment.” There was no abuse or abandonment or death to contend with. I, of course, did not escape the challenges and trials that formed and shaped me, but the cocoon I wrapped myself in did not allow this spiritual sleepwalker to awaken. I lived my first 40 years or so as a blissed-out Type Nine. Not fully engaged, not fully activated, not fully alive. Over the past several years I have been blessed with many wise teachers. And each day my heart is touched to the core by students who share their wisdom with me and with each other. The “groups” I facilitate are amazingly attuned to one another. Each person expresses, with courage and awe, how they seem themselves – in the past and in the moment – as well as the person they are becoming. I am continually humbled by their Presence. We never change our personality Type, so my desire to stay focused, to stay engaged and motivated will always be challenged by my wish to be lulled back to a mediocrity that masquerades as comfort. My life keeps providing me with opportunities to show up, to be “real,” and to face into the consequences of an unfolding aliveness. For this I am grateful. I am also deeply grateful to be on the journey with you.